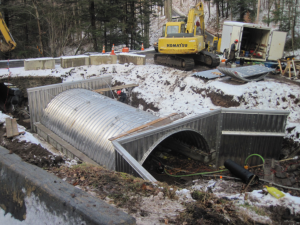 This project evaluated the recently replaced 30′ Corrugated Metal Pipe with a 50″ Aluminum Structural Plate Arch Bridge located on T-303 (Barnes Hill Road) over a Tributary to Towanda Creek. 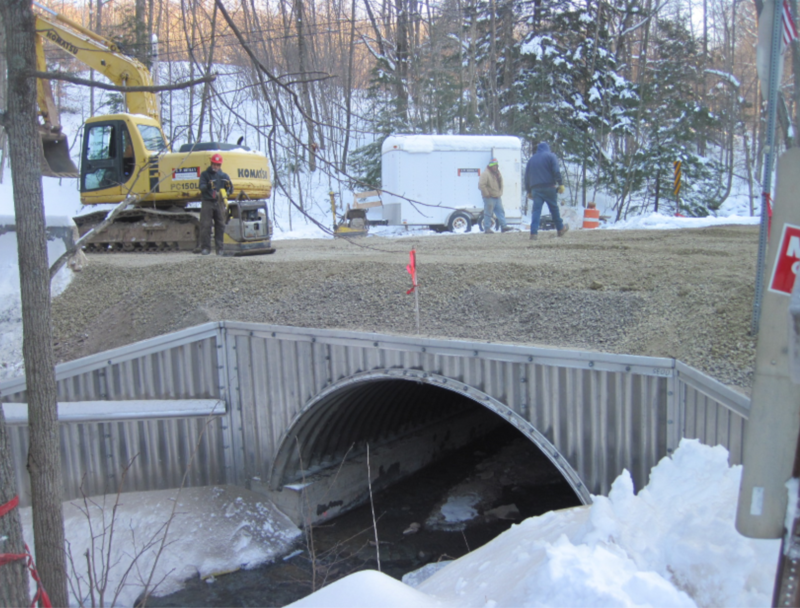 Work completed included bridge construction observation in accordance to the approved GP-7 permit plans provided by the Township. 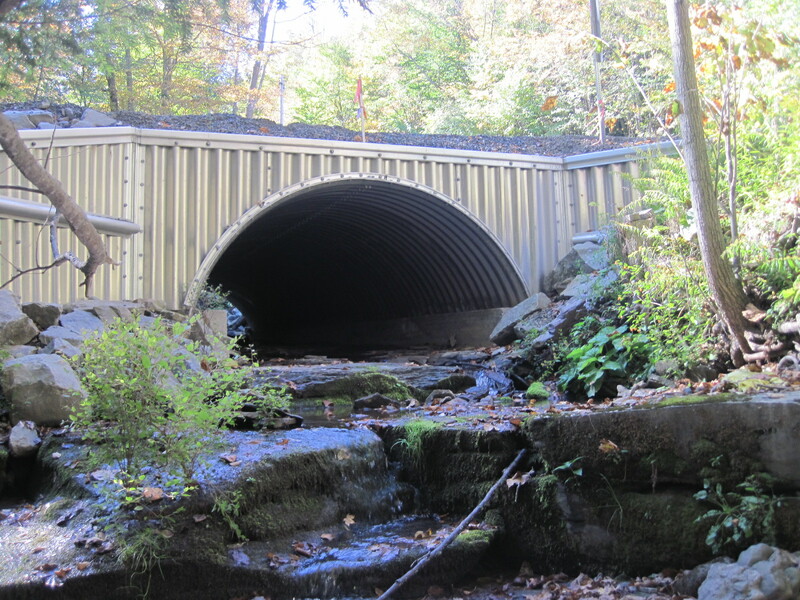 This work involved taking detailed field notes, measurements and photographs of all primary structural elements. Work involved preparing a detailed report that included the following: location map, general description, conditions narrative, as-built drawings, field observation notes, sketches and photographs.